Roman Inc., Our Lady of Grace Garden Statue 24". 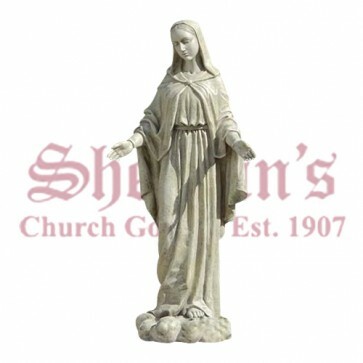 The lovely Our Lady of Grace Garden Statue is perfectly sized for any space. The piece is made of high-quality materials that are weather resistant and require very little maintenance. Outdoor religious statues can be used in churches or private homes. The piece is finely crafted with strict attention to detail, giving it a lifelike appearance. The monotone finish allows the statue to blend with any landscape, while still being easily visible for anyone seeking the comfort and grace of Our Lady. 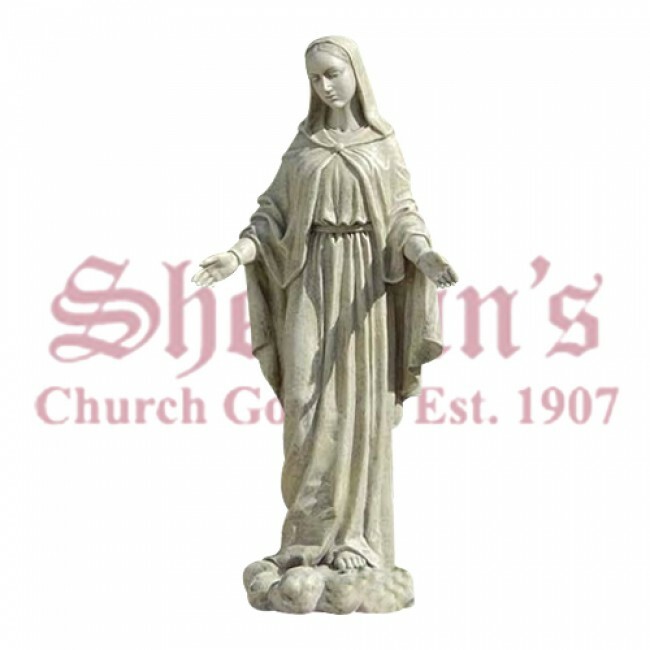 Our Lady of Grace religious garden statues make the ideal gift for any occasion.